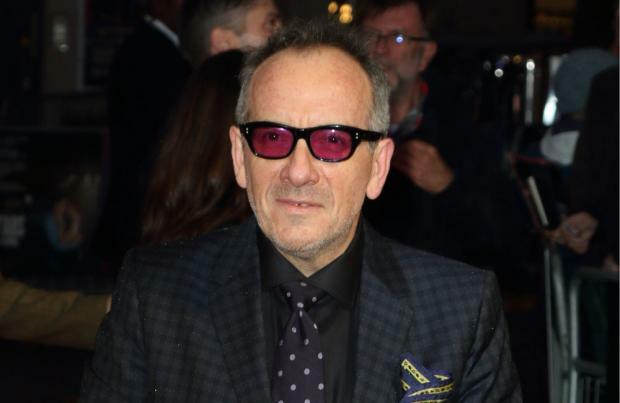 Elvis Costello has been forced to cancel his remaining European tour dates due to an "aggressive" cancer battle. The 63-year-old music legend has revealed the news to his fans in a lengthy statement in which he confirmed he has undergone treatment for the disease, and has been advised by his doctor to axe the final six dates of the run in order to rest. He said: "The spirit has been more than willing but I have to now accept that it is going to take longer than I would have wished for me to recover my full strength. Therefore, I must reluctantly cancel all the remaining engagements of this tour." Explaining that he'd initially been told the tour could continue as planned, Costello admitted the chances had initially seemed very fortunate. He revealed: "Six weeks ago my specialist called me and said, "You should start playing the Lotto". He had rarely, if ever, seen such a small but very aggressive cancerous malignancy that could be defeated by a single surgery. "I was elated and relieved that our European summer tour could go ahead. Post-surgical guidelines for such surgery, recommend three weeks to four weeks recovery depending on whether you are returning to a desk job or an occupation that involves physical work or travel. "It was impossible to judge how this advisory would line up with the demands on a traveling musician, playing 90-minute to 2-hour plus performances on a nightly basis but by the time we reached the Edinburgh Playhouse, I was almost fooled into thinking that normal service had been resumed." He has apologised to fans in Manchester, Pula, Graz, Vienna, Tysnes and Rattvik, but added he didn't want to compromise his own health - or the quality of his live show. However, he ended his statement on a happy note as he confirmed he and his band The Imposters have recorded a new album, set to be released later this year. He concluded: "To leave you with some more optimistic news, The Imposters and I - together with several of our other friends - have made a magnificent new record of which we are truly proud. It will be issued in October, I believe. We will return at the soonest opportunity to play that music and your favourite songs that still make sense to us all. "Take very good care of your loved ones but Gentleman, do talk to you friends - you'll find you are not alone - seek your doctor's advice if you are in doubt or when it is timely and act as swiftly as you may in these matters. It may save your life. Believe me, it is better than playing roulette."